FOOT AND ANKLE PROBLEMS: MERDEKA! MERDEKA! MERDEKA! 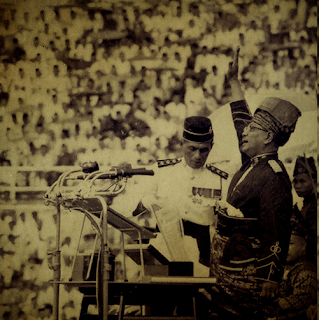 Malaysia most famous iconic image of Tunku Abdul Rahman declare independence from the British at Stadium Merdeka on Aug 31, 1957. Information Department of Malaysia photographer Ng Weng Hong, was the one who took the iconic picture of the Tunku raising his hand to proclaim the nation’s independence at the stadium. Nice to know that. It is something new which I have learnt today.